Developing key defender Liam Carter says his number one goal this season is to get a taste of senior VFL football. Second-year Seagull defender Jayden Burke says he has enjoyed the differences of this pre-season to last as he looks to impress over the upcoming pre-season games. Who are the breakout contenders for 2017? We take a look at some of the players who may be on the verge of breakout seasons at the club. Luckless young Seagull Anthony Giuliano is edging towards a return to the field after spending 18 months out recovering from two knee reconstructions. 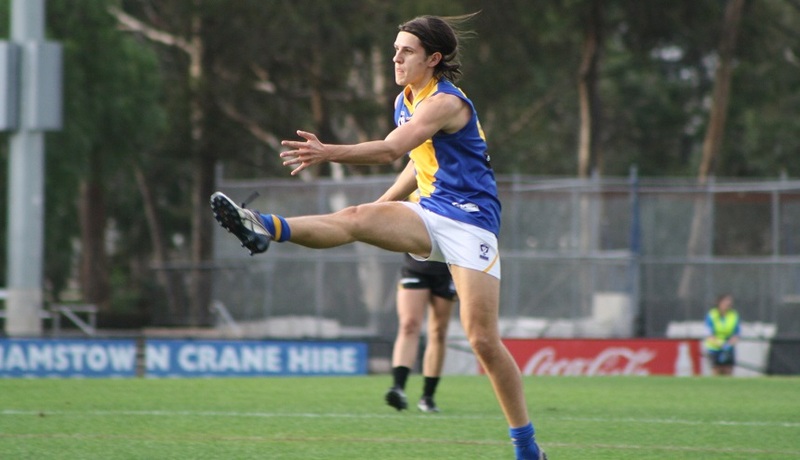 After a debut year of development league football, high-flying young forward Nick Ebinger is eyeing off a senior debut in 2017. Entertaining Seagulls forward Tristan Davies says he'll be using the senior experience he gained last year as motivation to find a more regular role within the senior squad in 2017. Entering his second season as a Seagull, creative forward Tom Condon says the opportunity to play senior football is driving him this summer. Third-year Seagull Jacob Chisari says that this pre-season has been his toughest one yet at the club. New Williamstown recruit Ben Cavarra says he is loving life down at Burbank Oval, as the VFL season draws nearer. Williamstown Football Club are delighted to announce that they have appointed Stephen Soulsby as their new General Manager Football.